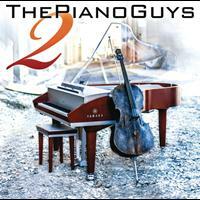 YouTube sensation The Piano Guys have just dropped their brand new long-player. Scroll down to read how Paul Anderson, Jon Schmidt, Steven Nelson, Tel Stewart and Al Van der Beek feel about bridging the gap between pop and classical music and the way artists react to their inventive mash-ups. Hello guys, congratulations are in order; your second album is out! Thank you, we are really excited to get this one out there. We are humbled to know that so many people like listening to our music! Sony have been so good to work with in making this happen, along with our manager David Simone. We couldn’t ask for a better team. 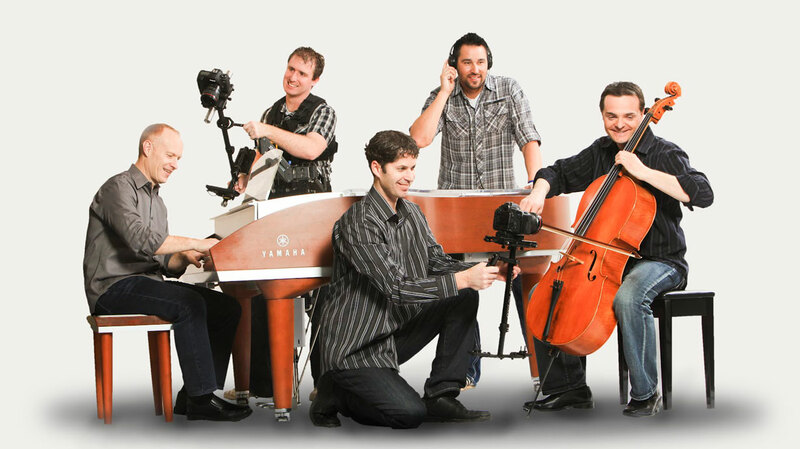 Well, since we started out as a piano store trying to find new ways of selling pianos, Paul Anderson started the YouTube channel back in 2004 and called it "ThePianoGuys". Paul started making videos with Jon back in October 2010, but it wasn’t until May 2011 that Steve, who plays cello, joined the group and added the strings. We didn’t want to change our YouTube channel name by that time since we had already built up a couple thousand subscribers. Howard Shore said he was worried about us giving him competition. Video seems to play a major part in the project. You first became a YouTube sensation and everything you post online goes viral instantly. Yes, video is vital to our success, without it we wouldn’t have been noticed. Music videos can be so powerful, if the video complements the music. We always try to portray something positive in our videos so that they can uplift and help people to feel good. What’s better than the wonderful outdoors to make that happen? We also like to add a little humor and we are pleased that, for the most part, people like it. Tell us the story behind "Peponi (Paradise)". The short story is that we had a case of writer’s block while working on the song, and it wasn’t until we thought to put an African spin on it, and include the talented Alex Boye, that things really began to come together. On the video side, we literally didn’t figure out where we were going to film until two hours before the shoot. It was just one of those moments where everything fell perfectly into place, getting a helicopter last minute and having the guts to risk one of our pianos by lifting it on a 1,000 ft cliff. We ended up leaving the piano there for four days until the helicopter could come back and pick it up. But because it was a Yamaha piano it had no issues since then! How would you describe your sound? "New Age" reminds us of Yanni and Enya more than David Guetta and Adele, artists whose songs you used on your first album. We don’t think "New Age" fits what we do right now, but maybe classical crossover could fit. We do feel what we have is a new sound since most of the sounds are created on acoustic, steel and electric cello by banging on it, scratching it with a quarter etc. Also our music is more about how it makes people feel, rather than about its genre or style. Classical music always finds a way to become relevant again. Louis Clark did it with Hooked On Classics, Vanessa Mae did it with both her virtuosity and looks, and you seem to have bridged the gap, by bringing mainstream acts into the genre. Thank you! If there’s one thing we’ve learned about getting noticed on YouTube, it’s that if you can try and incorporate what’s relevant today in music and mix it with the old, it makes so many more people want to listen to it. And since the youth of today are predominently on YouTube and have the social media down pat, then that helps create the viral aspect. Have any of the artists you covered contacted you to share their opinions on your mash-ups? We did get contacted by someone from One Republic, and they paid us a wonderful compliment and shared our video "Secrets". Also we were paid a huge compliment from Howard Shore on our Lord of the Rings medley, saying he was worried about us giving him competition. Would you work on new material with more piano-oriented singer/songwriters like Alicia Keys, Tori Amos or Delta Goodrem? We are open to almost anything, but we always try and let things happen naturally so if it’s meant to happen it will. One thing we do try and do is only cover songs that we can feel good about letting our own children listen to or watch the video of, so that plays a huge role in what we can and can’t do. What would be your dream collaboration? Would you compose an original score with John Williams? We would love to do something with John Williams and would in a heart beat! One collaboration we want to do is with The Mormon Tabernacle Choir; that would be epic! It was quite unorthodox to use the sound of a lightsaber in "Cello Wars". That was the work of Al van der Beek, who actually took the lightsaber sound and pitch-corrected it to match the music. We never take working with each other and collaborating on music for granted. Each member of the group helps in their own way with making the music the best it can possibly be. Even Paul, who does the videos, has comments that help make the music better than we ever could have made it on our own. Touring Asia and Germany, doing a nationwide tour and releasing a Christmas album this fall, alongside putting out a video each month. So not much!